According to a reporter, road three at Appleford Railway Yard had been covered in copious amounts of wet mud. Moving machines were churning up the mud, making the ground unstable. It was felt that machines shouldn’t be running on unstable ground, as there was the risk of machines toppling over. Secondly, tank containers were often being lifted off trains by the moving machines and placed in the wet mud. These containers were then being loaded onto a wagon without being washed down. The concern was that the wet mud on the bottom of the containers could cause them to slide off the wagon during transit at speeds of up to 60mph. Thirdly, shunters had apparently not been provided with appropriate Personal Protective Equipment (PPE) such as wellington boots for the muddy conditions. Finally, between road two and road three there was overgrown vegetation and a fallen lamppost that shunters must climb over to walk around the train. The reporter was concerned this could lead to individuals slipping, tripping or falling. The reporter asked if DB Cargo could take a range of measures to improve conditions at the yard. 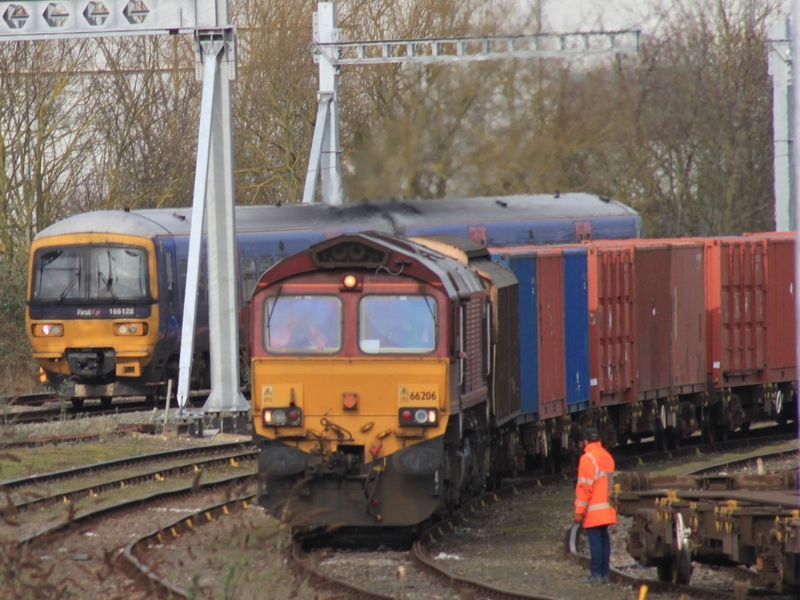 DB Cargo acknowledge the underfoot conditions can degrade in Appleford if a robust maintenance regime is not followed. It is important to note that, although mud does accumulate on the site, the ground structure is not unstable. There are many different organisations involved in the operations on site (including FCC, Hanson, DBC, RFS, Forterra) and due to the complexity of some of the issues, it has taken time to define areas of responsibility, agree control measures and allocate cost. Special care was taken to ensure the control measures did not add pressure or increase workload for frontline staff. Forterra have paid for a 360 excavator to attend site to remove all mud and slurry from the yard. Hanson have approved the use of a 360 excavator throughout the winter months to maintain good housekeeping on site and ensure there is no slurry accumulation. Hanson has booked a contractor to create a walking route along number 4 road at Appleford. The Safe System of Work pack has been amended. No reach stacker movements whilst DB Cargo staff are carrying out train preparation duties.